Obituary for Nanalee E. (Meredith) Robinson | Thomas Funeral Home P.A. Nanalee Elizabeth Robinson, 82, of Cambridge, passed away on September 8, 2018 at UMSMC at Easton with her family by her side. She was born in Toddville on September 20, 1935 to the late Everett Wilson Meredith, Sr. and Hilda Elizabeth Todd Meredith. 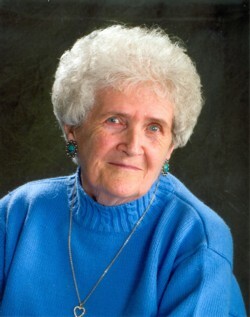 She graduated from Crapo High School class of 1953. She worked at Meredith & Meredith Seafood as a young girl, then at McCroy’s. She also worked part time at F.W. Woolworth. On November 13, 1954, she married Carroll T. Robinson, who passed away on September 13, 1985. In 1956, Nanalee became a homemaker and for 50 years sold Poplar Club. She also ran a daycare for 30 years. Nanalee sold Stanley, Longaberger, and Avon. She enjoyed word search and watching game shows. Nanalee is a member of the Cambridge Wesleyan Church, where she was a Sunday School teacher and CYC. Nanalee is survived by three daughters Cindy Higgins and husband Ward of Hurlock, Carol Wolf of Cambridge, and Patricia Zepp and husband Ray of Cambridge, two grandchildren Katie Foxwell (Charlie Ervin and sons Colton and Casey) and Hunter A. Foxwell, and a godchild Coleen Aaron. Besides her parents and her husband, Mrs. Robinson is preceded in death by a brother Everett W. Meredith, Jr.
Pallbearers will be Carl Hughes, Gary Fields, Danny Cox, Bobby Murphy, Shane Foxwell and Wesley Cox. Honorary pallbearers will be Reese Hurley, Sam Malone and Wayne Fields. A funeral service will be held on Thursday, September 13, 2018 at 1 pm at Thomas Funeral Home, P.A. in Cambridge with Rev. Larry Wroten officiating. Family will receive friends one hour prior to the service. Interment will follow at Dorchester Memorial Park. Memorial Contributions can be made to the Relay for Life, Team Best, c/o Chris Foxwell, 3315 Landrum Drive, East New Market, MD 21631 or the Just Older Youth Group, Cambridge Wesleyan Church, c/o Carol Wolf, 522 Goldsborough Ave., Cambridge, MD 21613.